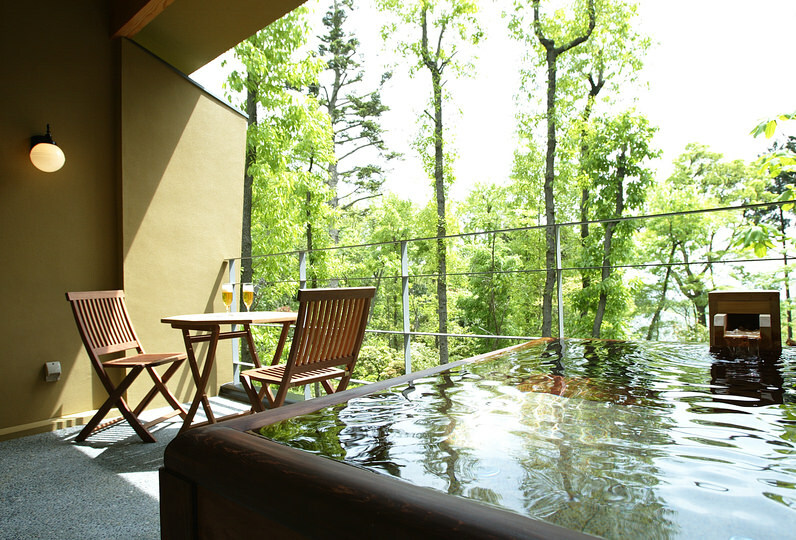 Syuhari is a hidden Ryokan that is located in Izu Highlands. Here, we aim to provide "Real customer service and rustic hospitality". 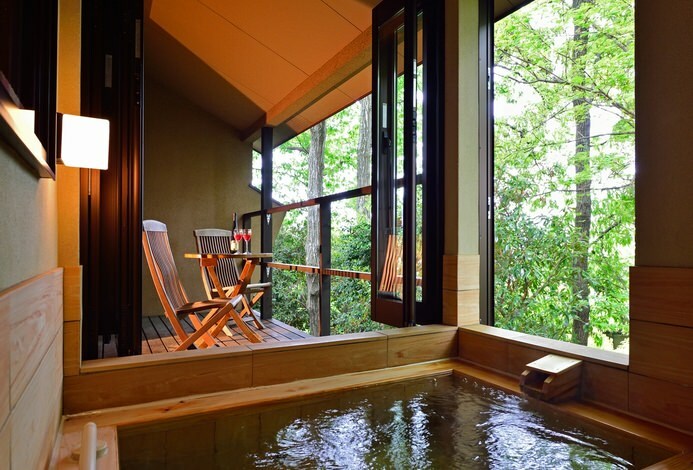 The guestrooms where you can feel the breath and taste of nature are made in a Japanese room style. 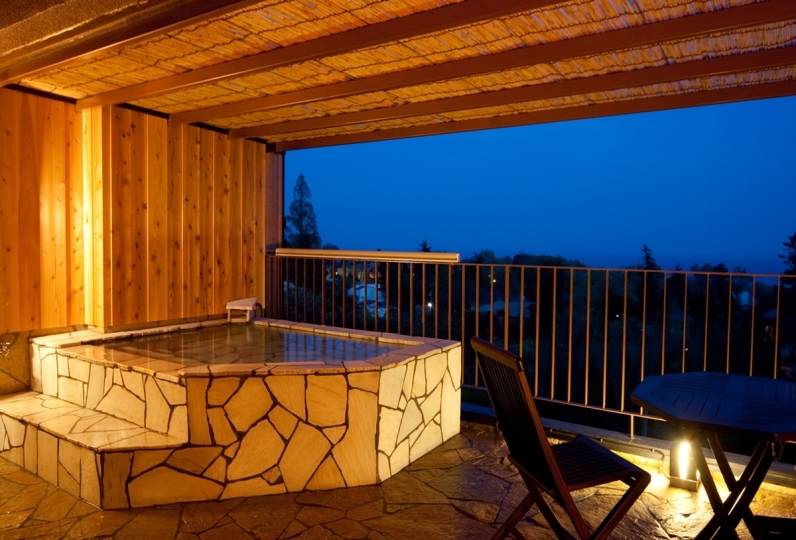 All of the rooms have private outdoor spas. Relax and make yourself feel comfortable in your private room. 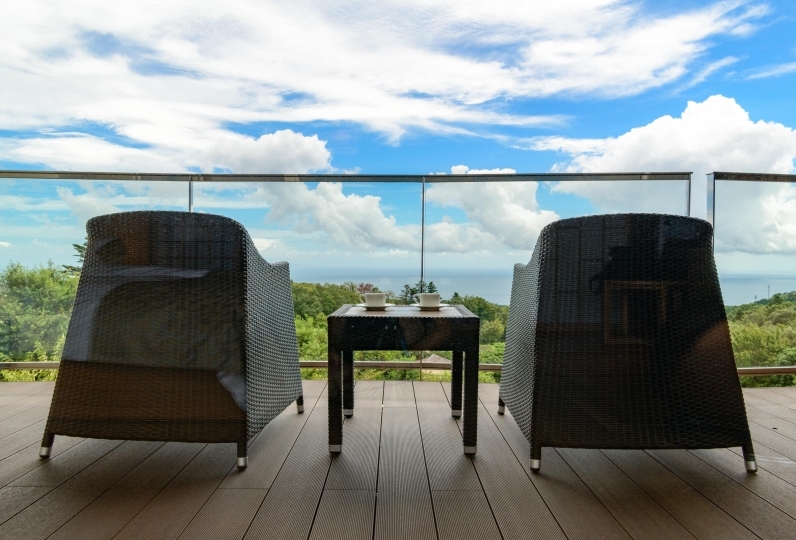 There is a private outdoor spa for groups that has a scenery of the big ocean. 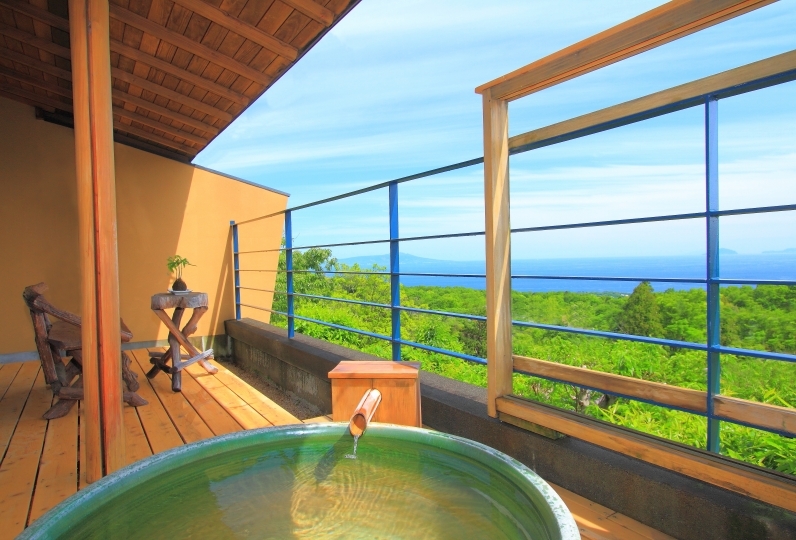 If you look outside from the bathtub, you will see a large panorama view of Sagami Bay. Enjoy your time in the bath without caring about the time. Dinner will be Creative Japanese Cuisine Full Course made with fresh ingredients from Izu. The menu is refreshed every month, so you will be able to taste the seasonal taste at anytime. 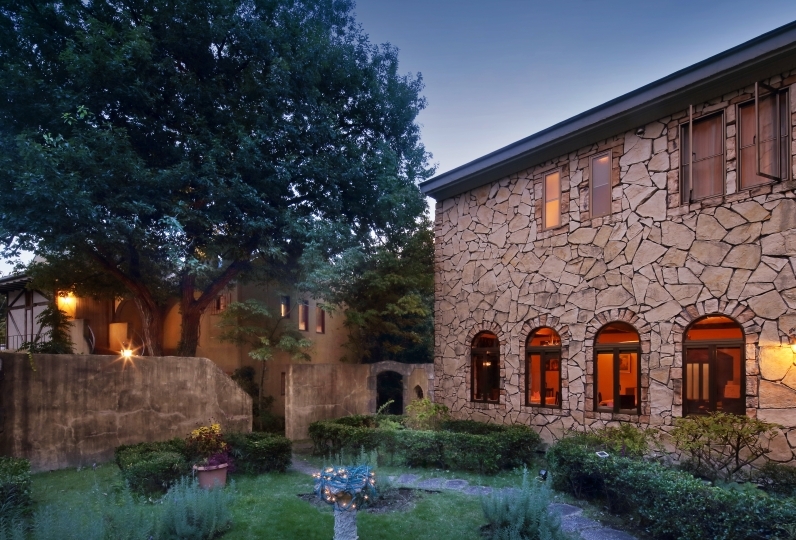 Feel the luxury that is only available for 8 groups in one day during your stay. 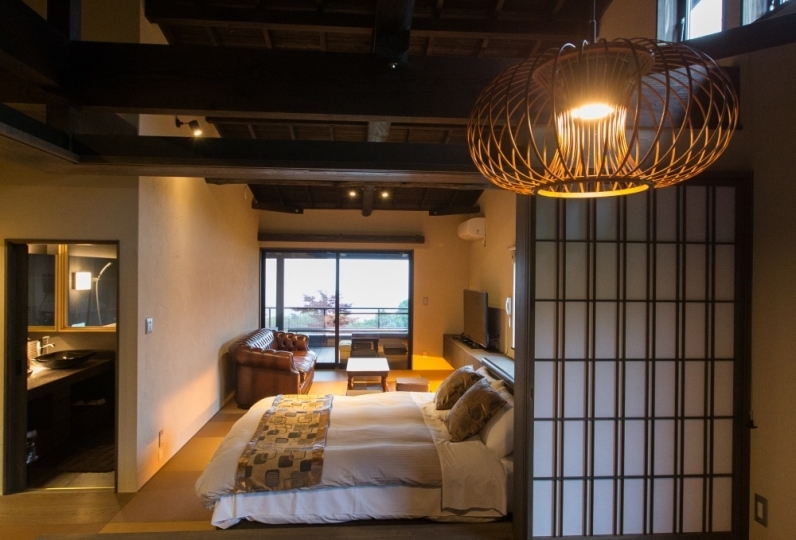 The recommended rooms are a special room and a room between 12 tatami. 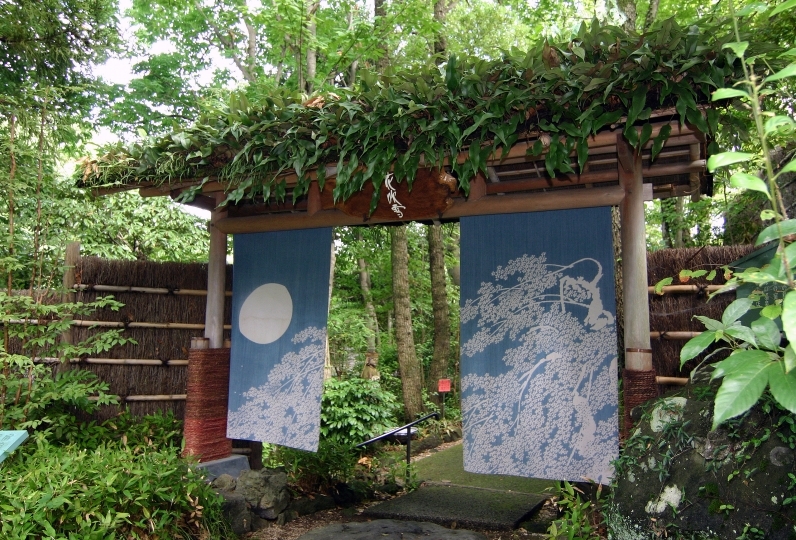 *If you are traveling with children, we will guide you in an 8 tatami room type room. The toilet was cold. You may as well as put some sort of equipment on it. It was very quiet and the meal was delicious, so I was healed with good bath moderation. Just bedding was cold with a futon, it was cold, and I did not have a habit of sleeping on with air conditioning, it was cold. I regret to have warm sleep if I had a blanket. The meal was delicious, and Nakai's correspondence was also very good. Hot bath was very good although it was a feeling that forced to put in the room. Just a bit of the view is bad and I feel satisfied a step further afterwards. Overall, it was unsatisfactory for the price. Dinner and Breakfast will be in room service.